Sell a House Fast In the Rancho Cordova Area or Northern CA. Serving Sacramento as a Realtor and General Engineering Contractor for 23 Years! 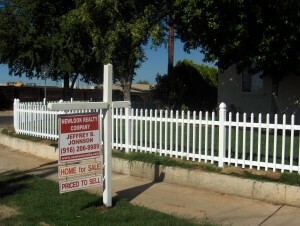 Sell Your house fast Rancho Cordova and surrounding areas? We pay cash to buy houses in those areas… can we give you a fair cash offer for your house? Homeowners in the Rancho Cordova area know that that owning a house is not always easy. From foreclosure to liens, from divorce to probate, from bad tenants to expensive repairs… owning a house can be expensive, time consuming, and stressful! At NewLook Realty Company, we help homeowners who no longer want to own their home in Rancho Cordova or the surrounding area. If your home is costing you money and causing you stress, you can put all that behind you and get on with your life easily — just sell your house to us fast! We specialize in buying Rancho Cordova houses in any condition; and we have the funds available to buy your house right away. Do You Need To Sell Your House Fast Rancho Cordova? And as a bonus, you won’t need to clean up and repair the property, find an agent who you trust and who can deliver on their promise of selling your house quickly, you won’t have to sign a contract that binds you to an agent for a certain term, you won’t have to deal with the paperwork and the waiting and wondering (and hoping). At NewLook Realty Company, we specialize in helping homeowners with an unwanted or stressful house. We’re ready to buy right away, we buy in any condition, and there are no commissions or fees when you sell your Rancho Cordova house to us. Just fill out the short property information form below. We’ll get back to you within 24 hours to give you a fair all-cash offer on your house. There’s no obligation; and if you accept our offer, we can close whenever YOU choose to close – even in as little as 7 days. So, if you have a house to sell, we want to buy it — any condition, any situation, any timeframe… we’re here to help Rancho Cordova sellers who need to sell their house fast and want to put the stress behind them and get on with life. At NewLook Realty Company, we help homeowners just like you (in all kinds of situations –from probate to divorce to foreclosure to a bad rental property to liens… you name it). We buy houses in Rancho Cordova and surrounding areas and we pay a fair cash price, fast. If you own a house that you don’t want or need, or can’t afford, and if you want to sell but don’t want the expense, hassle, and wait of selling through an agent, there’s a simpler option: Sell your house to us, put cash in your pocket, and get on with your life.